…you have to write a post about it. …you almost crash your car because you are craning your neck to look out the sunroof at landing aircraft. …you notice airport codes on license plates. …you recognise planes at 33000 ft above your house. …before you board an aircraft you already know the exact type, reg and seats on it, and maybe even the food! …you know already wich type is coming along according to the sound it makes. …you call everyone by their name in phoenetics! …you whine and fret on every nice day that you’re not up in the air (instrument students and pilots add low cloudy days). …you whine and fret every day that the wx is too bad for flying. …you get DUATS or a wx briefing on days you can’t fly, just to see if the wx is really as nice for flying as it looks. …you get DUATS or a wx briefing on days with awful wx, just to assure yourself that the wx really would be too bad to fly. …you learn mental methods for flight planning, and spend boring meetings planning flying trips. …you calculate every expenditure in terms of flight hours (50 cents at the candy machine every day that’s 0.01 flight hours! …you get in your car and find that it drives itself to the airport. …you become an instructor so you can be paid to go for airplane rides! …you build a spotting platform on top of your house. …when driving in the fog you look at your dashboard. …when ordering from a drive-in, you sign in with your last used reg for a flight. …when accelerating on the highway ramp, you turn on your main headlights, you do the same when you are braking from the highway onto the ramp. …In a traffic jam you request for a diversion airfield on the radio commentator reporting the jam. …you give a report to the passengers in your car when you turn on the cruise control and give a current temperature readout and ETA. …your flight simulator folder is 50 GB! …you’ve been planning your family’s vacations since you were twelve based on what kind of planes you can find. …you successfully transfer the aviation-virus to some of your relatives and/or friends. …when you’re planning your holiday flights – always choose the ones with the most connections or prefer the ones with aircraft types you haven’t flown on yet. …departure day – you arrive at the airport in the morning although your flight only leaves late in the afternoon. …you are spotting at night and you know the aircraft types just by the pattern of the landing lights. 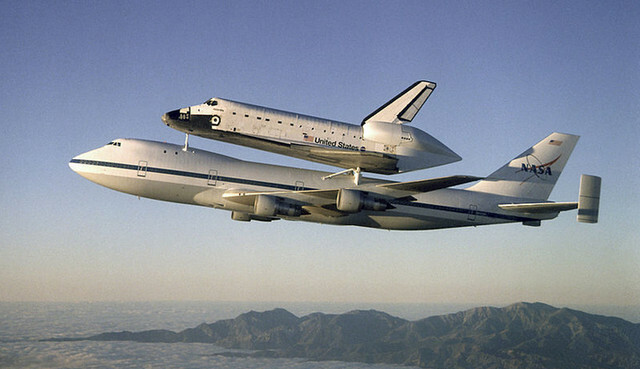 …you have a picture of the last plane you flew on or the next you will fly on as your desktop. …you think of FS as your part time job and not a game. …you are on a flight and your seat neighbor asks to be relocated because you wont stop talking about aviation! …you start referring to your airports by their IATA or ICAO codes. …you are flying from SEA-JFK and you fly across the Pacific. …you know exactly what plane is flying over your house. …you fly longhaul flights on Flight Sim. …your flight sim folder surpasses your computer’s memory. …you use aviation analogies in English class. …you hope and pray that your flight will be delayed. …you create your own airline, complete with timetables, and route maps. …you do a full flight procedure (takeoff – cruise – land) while you’re walking. …you refer to cities by their Airport Code. …you have more flight sim airplanes than actually exist. …you refuse to stay anywhere other than the airport hotel. …you preflight your car before every trip. …you buy a plane ticket just so you can get past security. …you know more aviation vocabulary than actual vocabulary. …you paint your car in Airline colors (seen it before). …you have written more than five ways you know you’re addicted to aviation. Haha we simply ze best ! …when you step out for a flight and don’t bother to tell your wife when you’re supposed to come back home… and she doesn’t bother to ask. —You give a safety and preflight briefing to patients when you are riding as an EMT on an ambulance…True story–I do it! Exactly, my statement is: Greetings and welcome to ____ ambulance. I will be your captain for this trip. Please make sure you keep all seatbelts in place during taxi, takeoff and landing. Please do not remove the seatbelts until the ambulance has come to a complete and full stop at our final destination. Not kidding, I actually do this! You goto a movie and lights are off and you look for seat belts. Oh Yes, I’m addicted to aviation!!! !And I love it!!!!!!!!!!! Lay in bed, awake every nite until the C-47 chugs overhead at exactly midnite. …and I always get A’s. O…M…G….im so addicted to aviation lol and very proud. … When you write all the airline names and aircraft types on a piece of paper just to know how much do u know so far ! … when you do your best to get in the cockpit in-flight but never successful n u still insist after landing at least ! … When you switch off ur autopliot during descent during an IFR flight and do Zero0 gs ! still a guilty secret pleasure …..just love it! …when you track your co-workers boyfriend’s flight on your computer..
…when you take binoculars with you going for a walk with your wife..
…when you enjoy the smell of jet fuel exhaust..
…when you ask for only airplane stuff for Christmas..
…when you can identify the flight number of a plane taking off by memory. …when you overtake those plane-numberplate-cars and tell your co-driver: Let’s finish this 737 off! i always preflight my car… and my first date was a night tour of the city from a C172 at 2300.. 2 years later and we’re still going strong with fun flights here and there including dozens of stalls both power on and off..
– when you, as a non-pilot, check the METAR before the standard weather forecast.